Do Environmental Regulations and Economic Growth Conflict? The environment is one of those things like education or jobs. No one says they are against job creation. No one claims to be anti-education. Nobody (despite what environmentalists may tell you) wants to destroy the environment, or eradicate the habitat of this or that endangered species. These things happen, of course. Jobs are lost, children are left behind, air and water are polluted. But they are usually the result of either an ironic attempt to do the opposite, or a tragic losing-out to other, competing priorities. Unfortunately, the intentions of policy makers and interests groups are often so lofty and disparate that there is rarely a serious comparison of these competing priorities. And so it is with environmental regulations. Environmental costs are especially difficult to compare to economic benefits because the environment doesn’t always have a monetary value. There are people out there, such as Nicholas Stern, who have attempted to quantify the economic costs of major environmental changes like climate change. 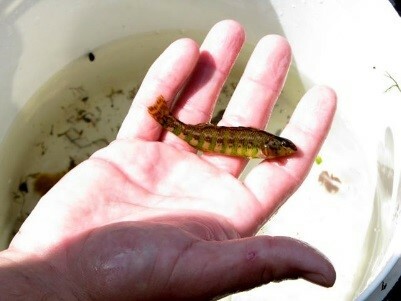 But how do you compare something like the contributions of the Cumberland darter to local biodiversity with the gains to the local economy of a major coal mining operation in Tennessee? At what point is environmental regulation’s damage to the economy worse than economic activity’s damage to the environment? We may never be able to accurately monetize the benefits of environmental conservation. We can, however, accurately estimate the aggregate economic cost of regulation. Yet we don’t. While there are many studies on the cumulative effects of economic activity on the environment, there is next to nothing known about the cumulative effects of regulation on the economy. This is in spite of the data available on the cost of individual regulations.Whenever a federal agency proposes a rule that will have a “significant impact” on the economy, it must conduct an assessment of the proposed regulation’s economic cost. The proposed rule on fracking published last week, for example, brings an estimated $17 million a year in industry compliance costs. In a regulatory impact assessment published in 2012, the EPA used a “break-even” analysis in which it estimated “what the monetary value benefits would need to attain in order to equal the costs estimated to be imposed by the rule.” It then goes on to meet this fairly weak standard. This is typical of how regulatory impact assessments are done: it is left up to the agency to determine the threshold of costs and benefits, and the assessment is done in a regulatory vacuum, without reference to other regulations or agencies. The government makes no attempt to assess how regulations from one agency interact with the regulations of another, let alone what the total effect of regulation is on the industry and the wider economy. The BLM rule on fracking cited above covers the use of chemicals, well construction, and disposal of backflow water even though most state governments, including Texas and North Dakota where use of fracking is widespread, already regulate those aspects of the process and have basically equivalent rules. The EPA has additional rules that regulate fracking under the authority of the Clean Air Act. There are also separate permits, land use plans, and environmental studies required for every single hole drilled in the ground, that is, on top of those required for fracking. Depending on the results of environmental studies, additional EPA regulations under authority of the Endangered Species Act and Clean Water Act may apply. The States also have separate rules for water and air pollution that regulate drilling. That’s over half a dozen regulatory frameworks, dozens of permits and environmental studies and tens of thousands of dollars in compliance costs alone before the first drop of oil is extracted. Is all of this really necessary, and is it actually helping the environment? It’s difficult to determine whether regulations are helping the environment more than they are hurting the economy, both because of the difficulty in monetizing environmental benefits, and because groups such as the Sierra Club and the Center for Biological Diversity consistently take the position that drilling itself is unacceptable. Most industry associations, on the other hand, see some amount of regulation as necessary to protect the environment. Many companies even subscribe to voluntary, albeit less stringent, regulation programs. This is perhaps one of the reasons why we spend so much money studying the impact of human activity on the environment, and comparatively little on how regulations affect the economy and whether or not they are even effective. Everyone cares to some extent about the environment. Environmentalists don’t care about economic growth. And regulators are so focused on their issue area that they never get around to placing the benefits of their regulation in the context of other priorities. Tags: Bureau of Land Management, Cumulative Effects of Regulation, Fracking, Hydraulic fracturing, United States Environmental Protection Agency. Bookmark the permalink. Okay I’m covicnned. Let’s put it to action.